Linda Parker Magellan is an independent Professional Genetic Genealogy Consultant who has travelled internationally assisting individuals in the discovery of their ancestry through the use of DNA testing. Linda enjoys putting the pieces of the puzzle together to solve the mystery of one’s genetic inheritance. Linda ordered her first DNA test kit in 2003 and has been hooked ever since. She now administers several surname projects and has experience with FamilyTree DNA, 23andMe, AncestryDNA, and The Genograpic Project. 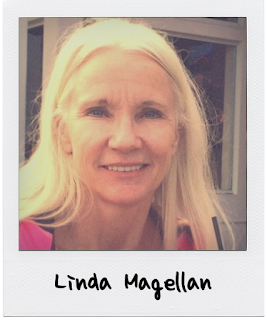 As a founding member of the International Society for Genetic Genealogy, Linda has long regarded education a priority and continues to develop professionally through workshops, conferences, and continuing education coursework. Her area of expertise is in teaching others how to unravel the story in their DNA. Most of my nights are occupied with my day job! Research, research, research! My interest in genealogy began at about age 10. I started by asking my parents about my grandparents and what ethnicity they were. I wrote everything down and I still have those notes to this day. My next adventure into genealogy came in about 1988 when I bought my first Apple computer and decided to make my own database to keep track of my research. In 1989, with my computer in tow, I drove across the United States in search of relatives to interview… I’m still interviewing relatives throughout the world. In 2003 while doing research on my mother’s maiden name, Wright, I happened across the FamilyTreeDNA website. I had really wanted to discover where my Wright family came from so it took me all of about 30 seconds to decide that I had to order a 12-marker y-DNA test for my male Wright cousins. It was at that time that I set up the Wright Surname Project which currently has 993 members. I must admit that I had no idea what to expect, but almost immediately realized that DNA testing would become an invaluable tool for genealogy research. Since those early days I have sought to learn as much as possible and have tested at all of the major DNA testing companies. This presentation is geared for the new DNA tester. However, there will be useful information for anyone seeking ideas about what to do next. Information will include how to set up a spreadsheet for tracking matches, ideas and suggestions for contacting matches, and a review of many resources available.